Hi! This is Heather from Campfire Curriculum with Helpful Heather. 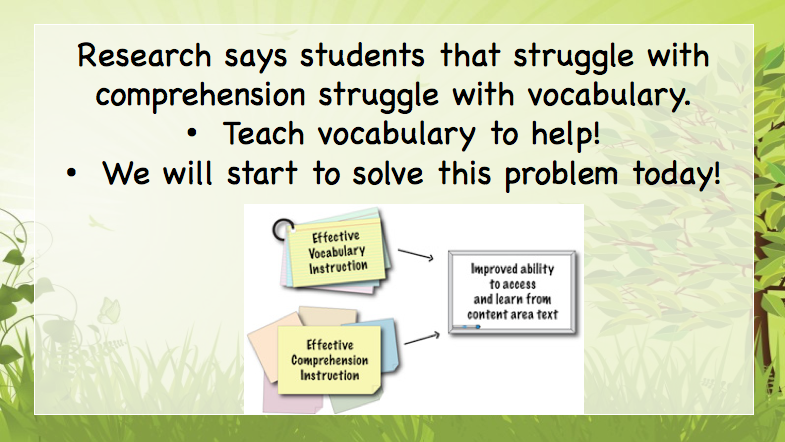 As we discussed in Part One research says children that struggle with comprehension also struggle with vocabulary. 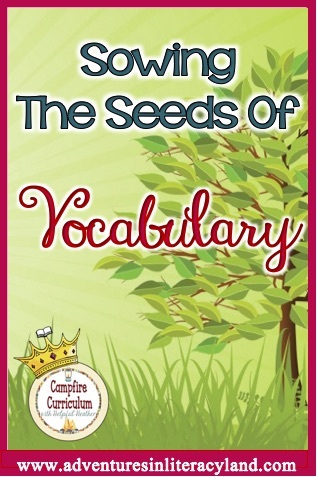 This three part series lends quick and easy ways to expand your students' vocabulary and also strengthen their overall comprehension. 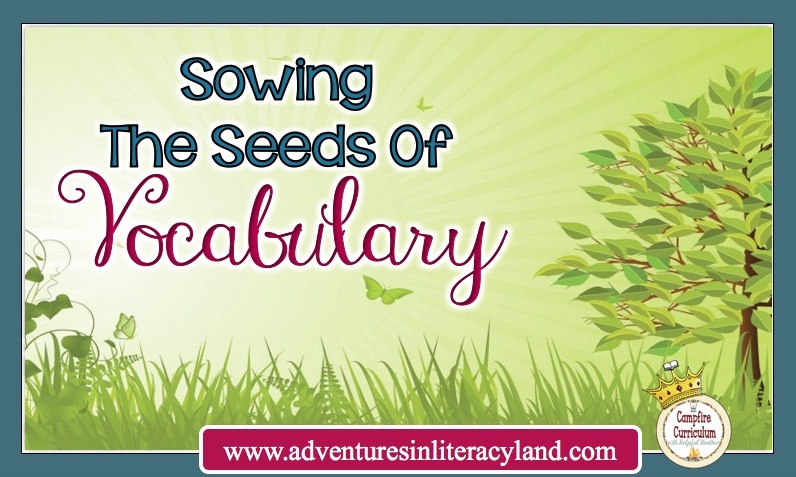 Please revisit Sowing The Seeds Of Vocabulary (Part One) to help you understand and implement vocabulary in your classroom. 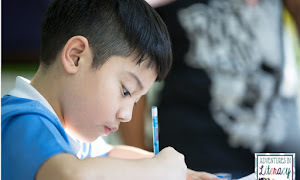 This post (Part Two) will remind you how important it is to use Marzano's Vocabulary Process and Multiple Intelligence Theory to reach all students! throughout the day. American children struggle with comprehension. If we strengthen their knowledge of words throughout the day we will strengthen their response skills on tests and beyond. This post (Part Two) will make sure that you are not missing a single student! 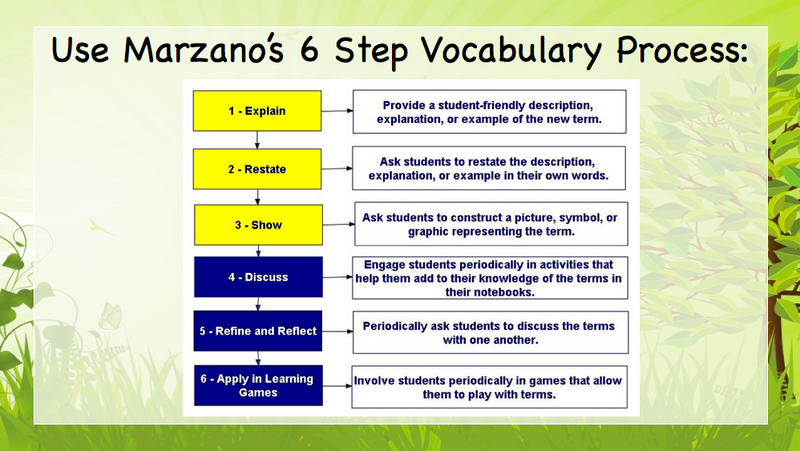 When teachers use a trusted process like Marzano's 6 Step Vocabulary Process they will methodically and easily teach vocabulary throughout the day, week, month, semester. 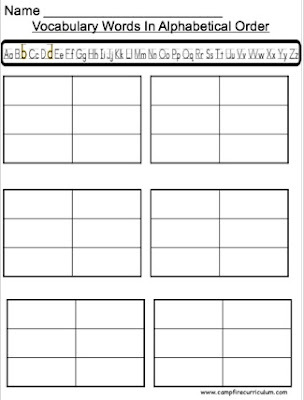 Make a miniature copy of this chart and keep it in your planning binder. Use this process to guide yourself through your lesson planning! Don't forget to model how to define a word. 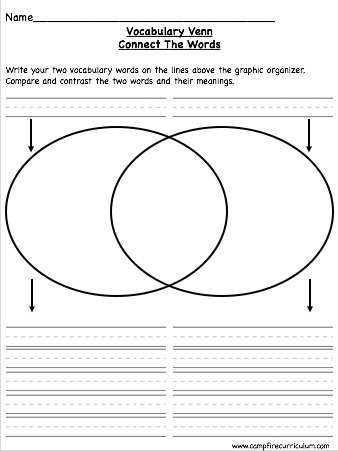 Let students know that they should try to make a personal connection when creating a definition. When I defined the word 'disappointed' to my class I told them about a day when I was young. It was my favorite season.... autumn..... and I was so excited to jump into a leaf pile. My family raked a huge pile of leaves. It was my turn to jump and I was so excited. I ran as fast as I could and before my jump..... I stepped into a pile of dog poop! I was disappointed (among other things). This was an example that my students remembered and I modeled making a personal connection. This can be the next days lesson or happen immediately after modeling. With students knee to knee (on the carpet) or shoulder to shoulder (at their table), have them discuss with each other the vocabulary word at hand. Maybe they were disappointed a time when the zoo was closed, when they dropped their ice cream cone, or when they received a knock off toy instead of the 'real' thing! Use calling sticks to have students/partners share! 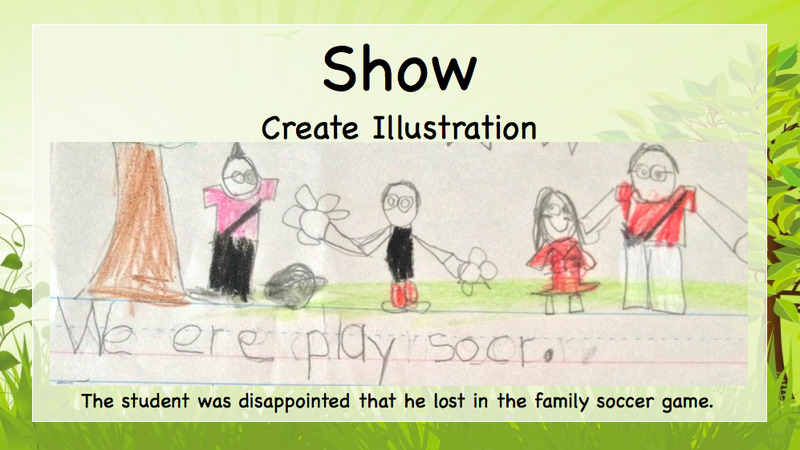 Allow students to illustrate their ideas. If this portion of your lesson is not done immediately following "Restate" then remind your students what they discussed or allow them to discuss their personal definitions with their partners/class. Don't introduce new words and then move on. Come back and continuously use and review those words. This can make a wonderful center activity! 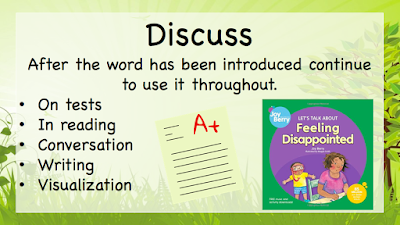 New words can be added as students become confident in their use. 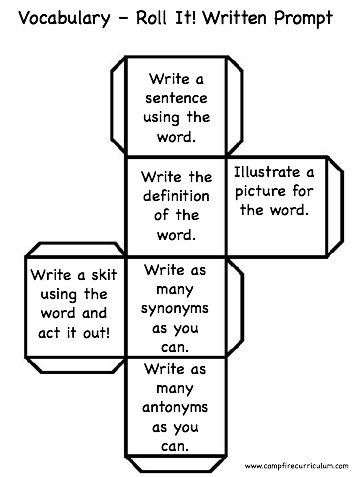 Play games with the words and ask them to use them in their writing. You can even give them a starter sentence: The girl looked disappointed when _______. Add more fun into the mix to reinforce those vocabulary words. 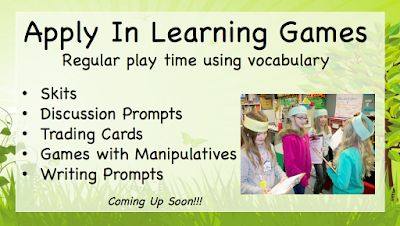 Some fun games/activities can be to put on a play or make vocabulary trading cards (Explained in detail in Part Three). Continue to reinforce vocabulary throughout each lesson. Don't forget about the different types of learning. Some students learn using one type of learning but most students learn using a mixture of them! 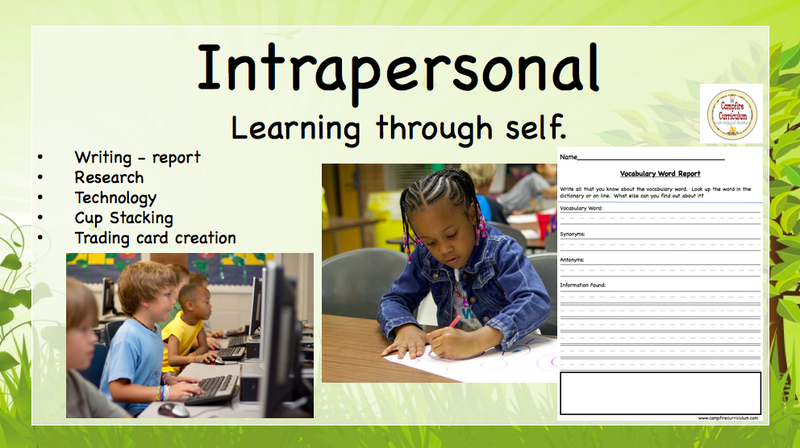 I like to keep a checklist of the Multiple Intelligences on my lesson plan. When I am done planning I see if I have checked off each one (at least weekly if not daily). How many students are you reaching? Add musical learning into your lessons! 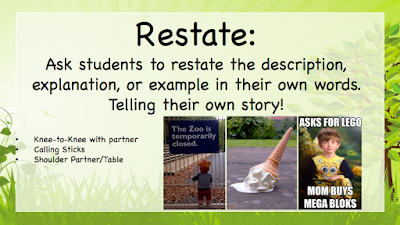 Use them as the anticipatory set to get the students excited. Great songs can be found on Teachertube, Youtube, and GoNoodle! My students love to sing and dance while learning and I'm sure yours will too! Make sure your students are moving! 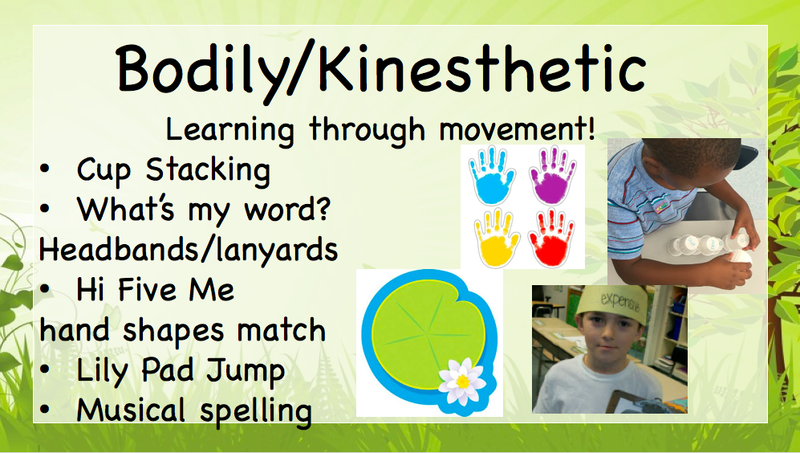 There are so many games that allow movement while learning. Don't be afraid to let your students play to learn. I want you to have fun games that don't break the bank or steal your precious time. The games listed above are fun and excited for your students and you won't be out a lot of money or time. 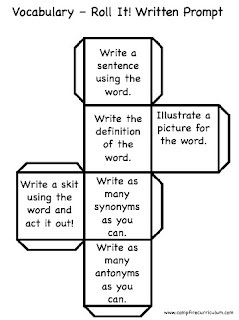 Cup Stacking- write the definition on the bottom of the cup and tuck the definition inside the cup. What's My Word- Students wear a sentence strip on their head with the vocabulary word on it. 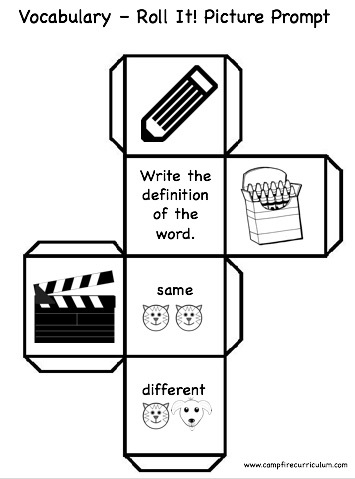 Students have to define the word until the student guesses his/her word correctly. Lanyards turned around (onto the student's back) can word too! 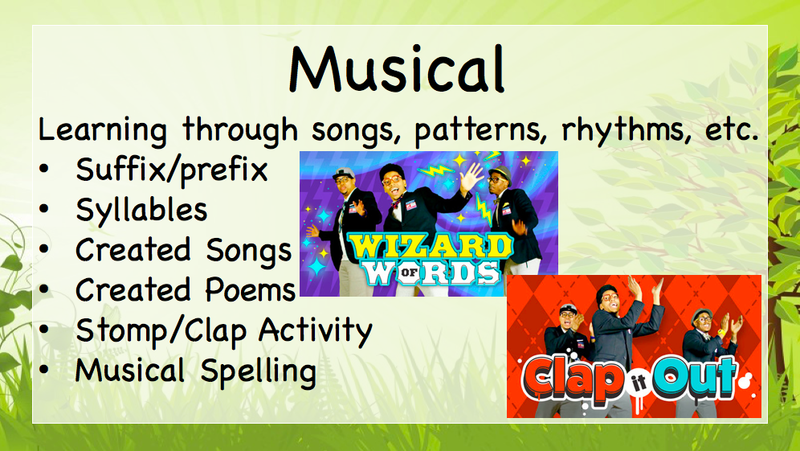 Musical Spelling- Students write their vocabulary words and/or definitions. When the teacher starts to play music the students put down their pencils and dance around the tables. When the music stops the students start writing the next word! The fun continues for as much time as you have set! 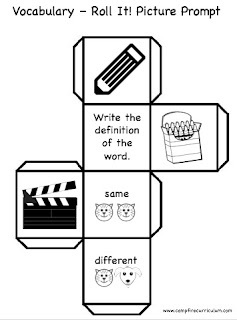 You can find rolling cubes that allow you to insert definitions/illustrations to start discussions or writing. If you refuse to purchase them make one yourself! I found a box, covered it in packing tape, and made pockets with packing tape. Then I could keep all of the words that we used throughout the year inside the box. 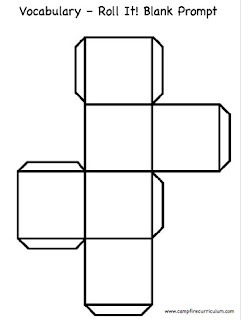 You can even create rolling cubes that students can take home too! 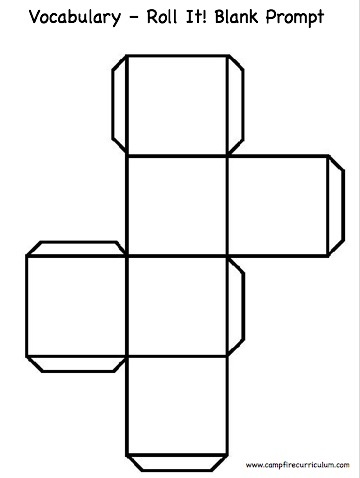 I found that if you cover the paper in packing tape prior to cutting it, the cube (below) will have a laminate-like covering. The students love to toss the cube and it doesn't make a lot of noise! Other ideas include Bag It! 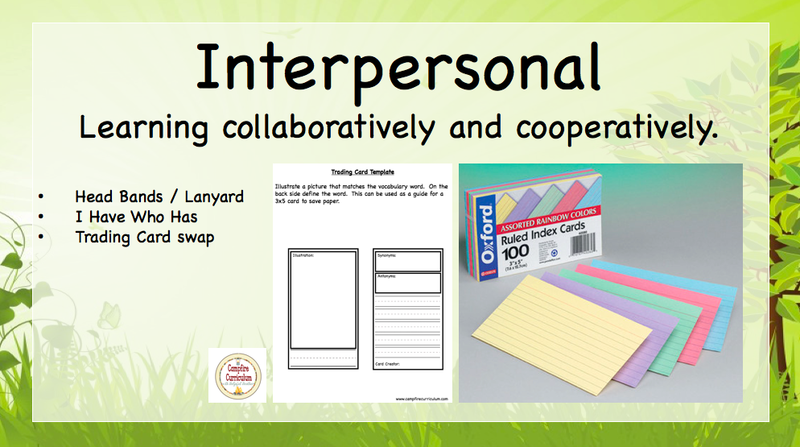 - a fun foldable project found on Campfire Curriculum with Helpful Heather or trading cards (Part One). Make a Roll It! with written prompts! Make a Roll It! with illustrated prompts! Make a Roll It! with your own creative ideas! 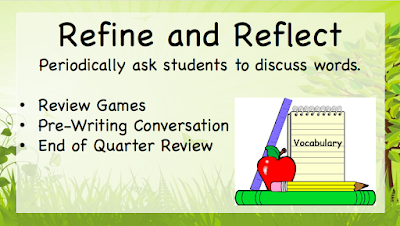 Don't forget to allow students to reflect on learning by themselves. Some students like to do research or use technology to find more! You can even find links to make vocabulary trading cards! Let students play together. Remember those games we discussed earlier? 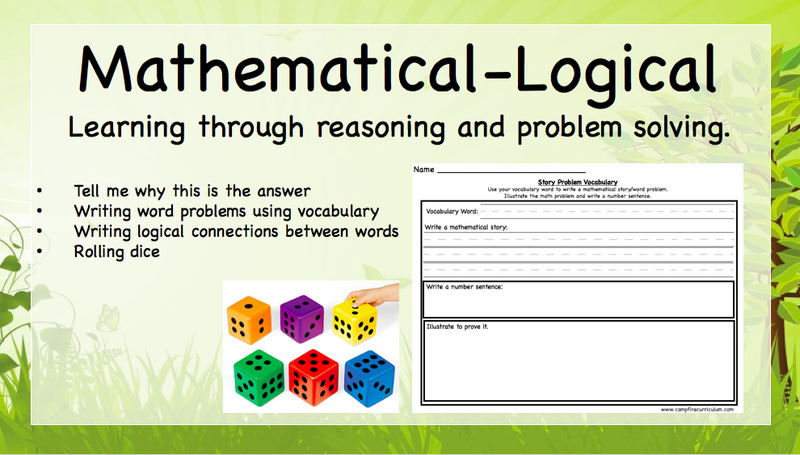 Use those to allow students to learn while playing. You can find my trading card template on Campfire Curriculum with Helpful Heather. 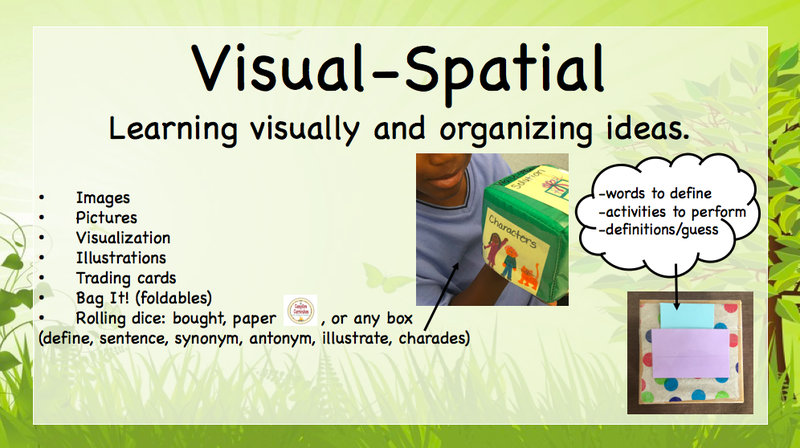 Teachers can appreciate students that learn by categorizing items. 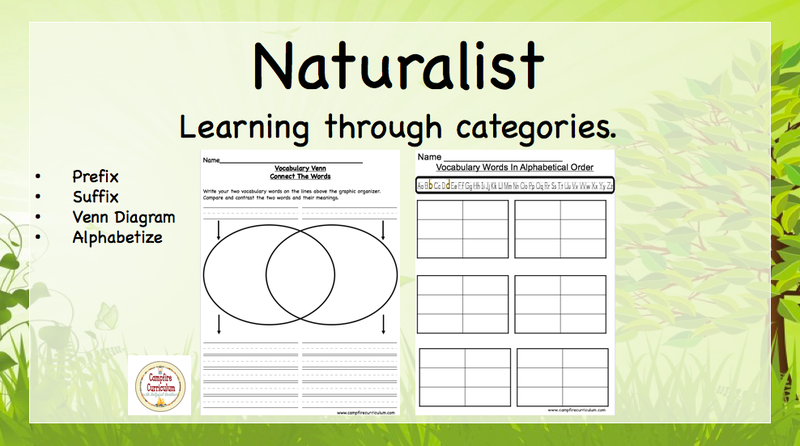 These activities can help your student learn as a naturalist! 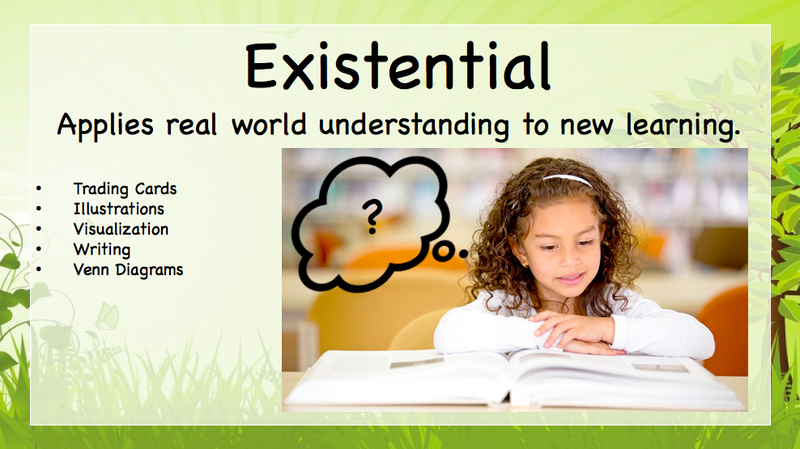 The existential student likes to apply their learning! Use some of the ideas from above to help those students soar! 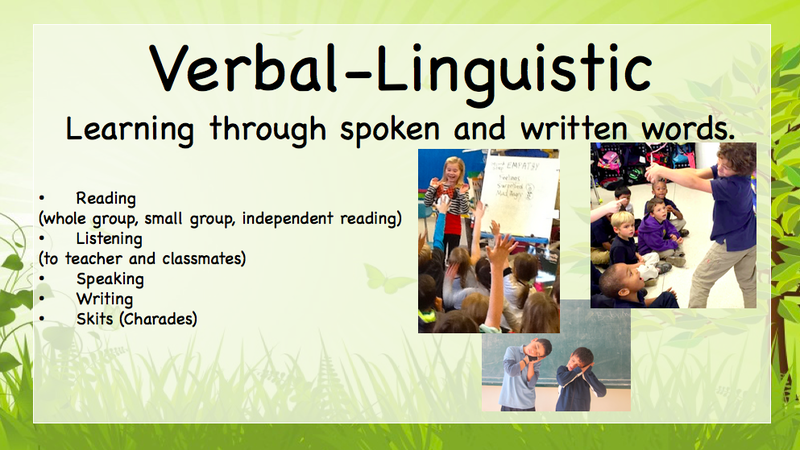 Allow students to discuss with each other, act out as in charades, or read their final work to the other students. Yes! You can even reach the mathematical students! You can have students roll a number that equates to an activity prompt or have them write a word problem using the vocabulary word. 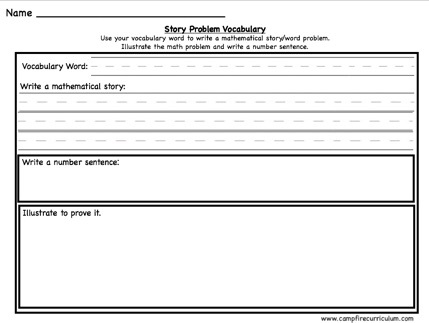 If the student needs help- you can write the problem with them and have them figure out the problem! 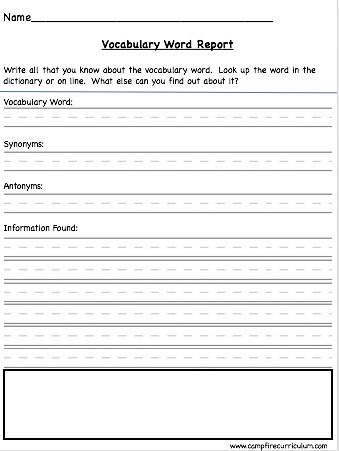 I created the vocabulary templates shown in this post to assist you. 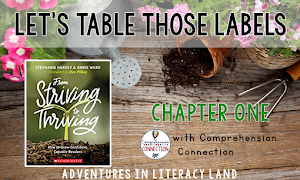 Come over to my website (Campfire Curriculum) for a free download! 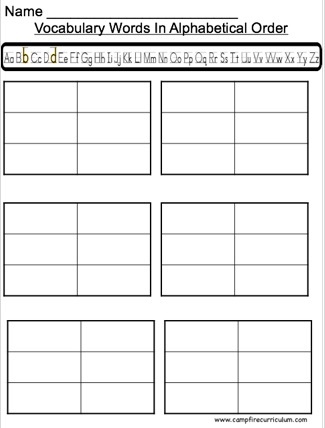 Many more free templates are coming your way as this post series continues! Let everyone know how it works for you! Do you have a success story to tell? A game that your students loved that helped them learn vocabulary? Tell everyone about your "Teacher Wins"! 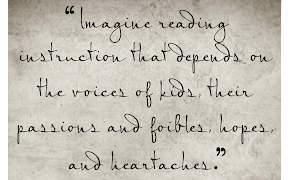 We want to hear them! 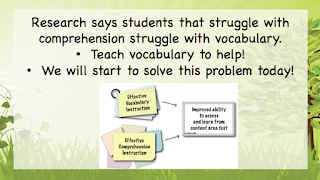 Don't forget to stay tuned........ this is the second in a series of vocabulary posts. 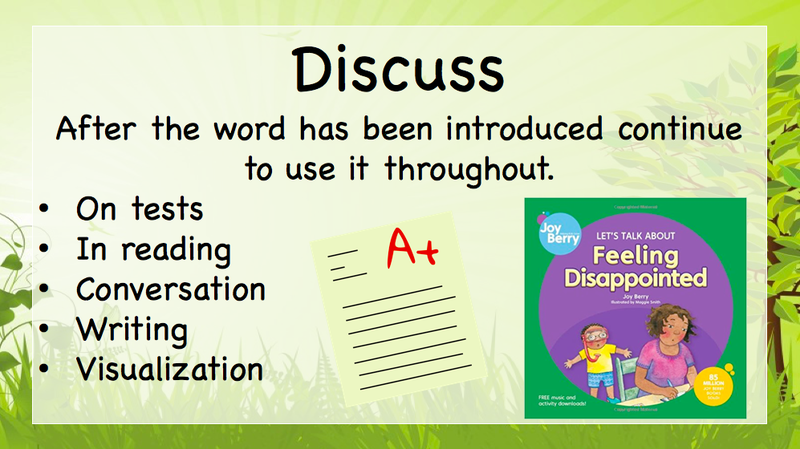 In the posts to come, you will learn how to implement vocabulary into behavior management, small groups, whole group, and more tricks to help you teach vocabulary with ease!